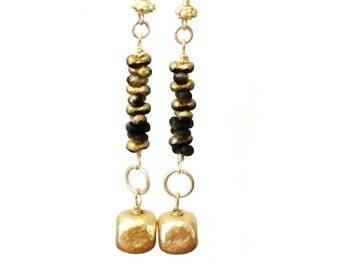 This gold layered necklace set is the perfect on trend accessory! You always need those grab and go accessories and this set will be one of them. Included in this set are three separate necklaces. Wear all three necklaces one day, and one or two the next — your pick! 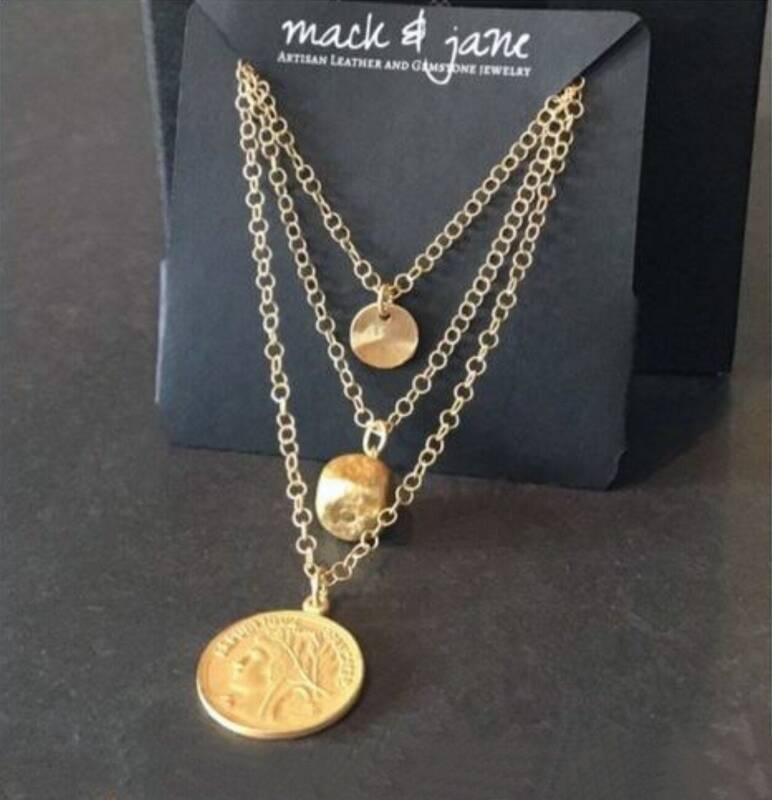 This set includes one necklace with a fabulous replica French coin, one with a cool hammered gold plated cube, and a third with a crinkled gold plated cornflake disk. And, what a terrific gift this set would be for your girlfriend, sister or mom! This set will come to you beautifully boxed and ready to gift.